In the modern days, some people still tend to go back in time and decorate their homes with old time things. Well, not necessarily old – but looks old or somewhat renewed like old typewriters, old models of cameras, or even treasure boxes! This is when vintage design came into picture. There are times when vintage design is misinterpreted to be shabby chic, they may have things in common but there are major differences that we will be able to decipher when you get to take a double look on the said styles above. Vintage are items that are produced from the 1920s to 1960s. Vintage is also considered as retro. This style is achieved by displaying old items as mentioned above and the excessive use of fabric and classic style furniture. Even a wonderful play of colors is also necessary to create the vintage look. 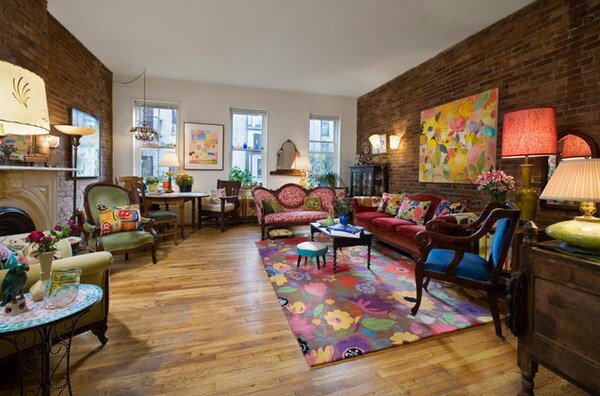 Anyways, take a look at the photos we have below to see the Vintage Living Rooms we have collected for you. Bold colors with unique combination of style and one of a kind class. 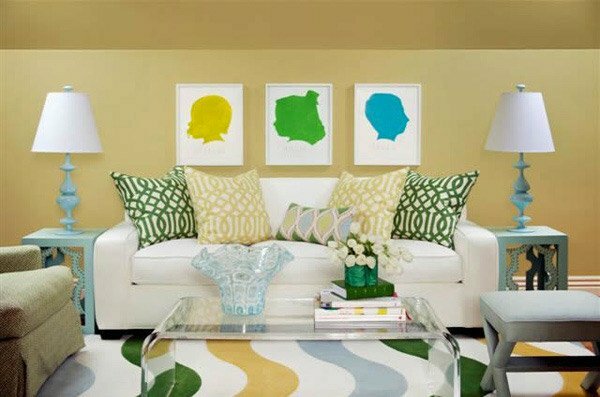 Colorful room with different items or furniture with unique decor. A classy room with unique framed photos, mismatching pillow cases, accent chairs and wonderfully made center table! 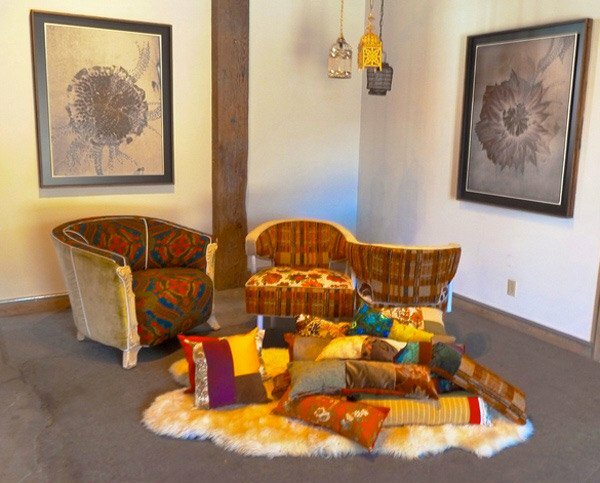 Upholstered seats and one of a kind throw pillow designs! Add in cute pendant lights on the background – your vintage theme is achieved! If this room was ours, we will surely not leave it ever! 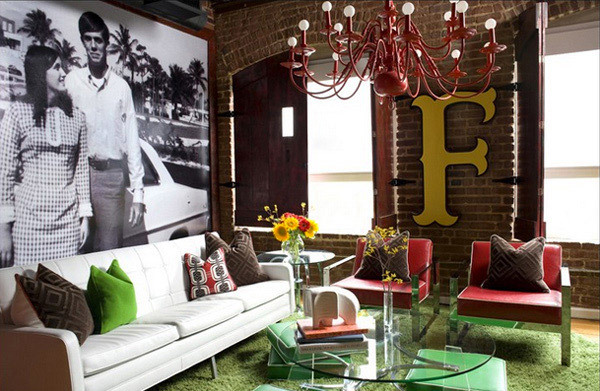 The huge photo, the unique chandelier – this room is totally awesome! 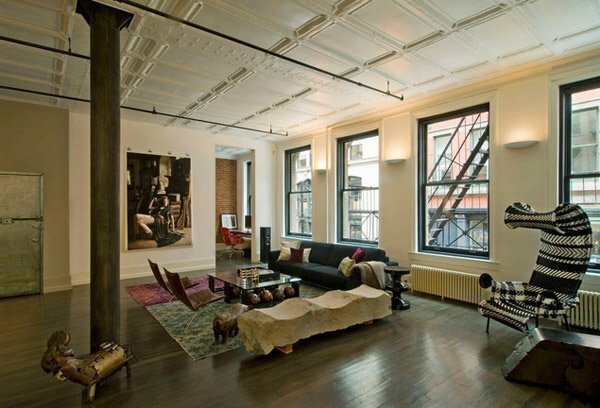 This room may have been a spare room for stocks – high ceiling, huge space, but the interior design made is totally rocking’ vintage! Classic vintage look! Pretty and unique which brings you to a different realm. Like old school or something of that sort. Don’t you love the chairs in this room? All unique and brings the vintage feel we wanted to see from this list. A vintage classic style is decorating your walls with empty uniquely shaped picture frames and the use of this 2-seater vintage sofa. 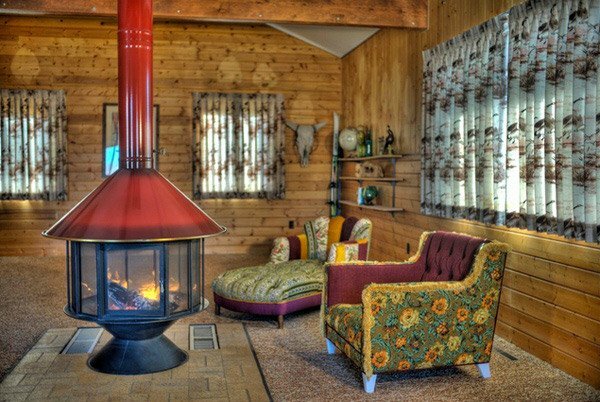 When we say vintage living, we didn’t really imagine it like this! Old style fireplace with unique looking sitting lounges. Have you noticed that Vintage Renewal usually shows off chairs that are upholstered? In this picture we also see a pink sofa that offsets everything in the room. 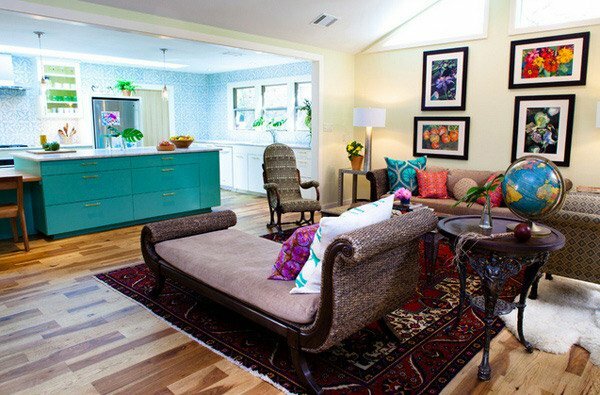 Another colorful living room that showcase vintage heritage! The cool play of colors takes this room to another level. It’s wonderful how this painting of a skirt is placed on the wall! A unique piece indeed. 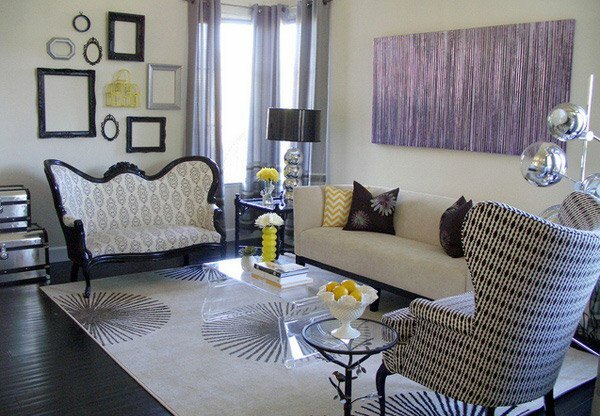 This room is also made beautiful by the gray two-seater sofa. A faux-furred area rug maybe the prettiest item in this living area. The white chandelier and cute frames in the room is sure one great catch! 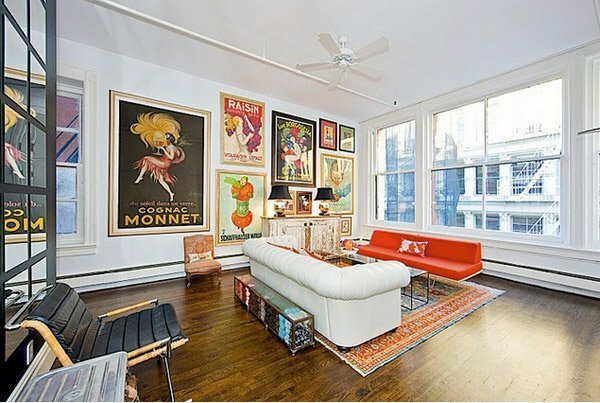 Large framed posters brightens this entire room. 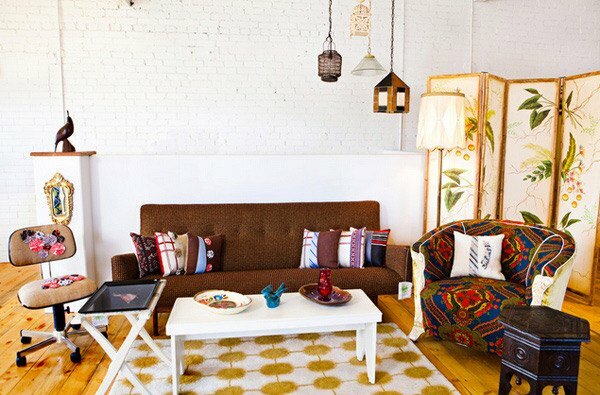 The living area may seem small given this huge space, but it sure is one spot no one can miss! And there is it! The list of the 15 Fabulous Vintage Living Room Ideas that we have created for you. The photos we have shown above has inspired us here in Home Design Lover and we hope the same for our readers out there. We honestly believe that the list have been really interesting for you guys! We hope to be able to showcase more ideas like these in the future you! For the meantime, you may want to take a look at our Country Inspired Living Rooms and Asian Living Room Designs for more inspiration.